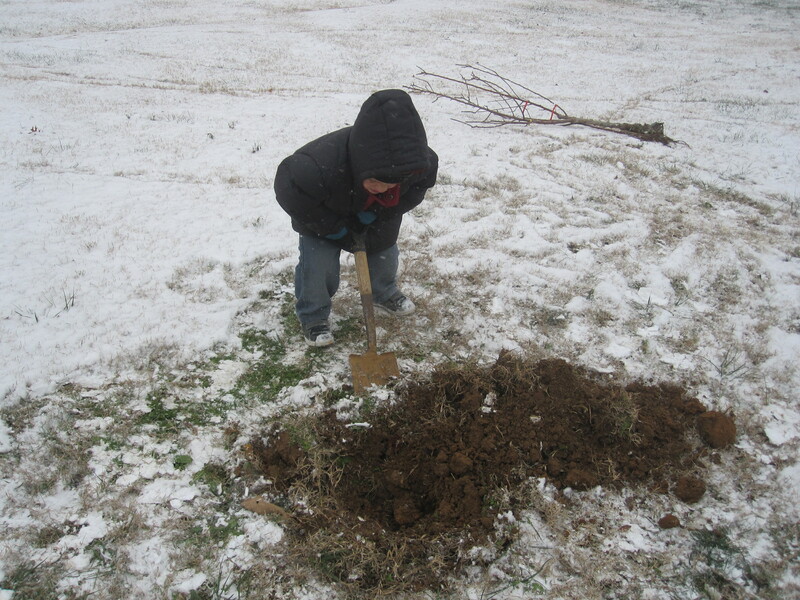 Here we are planting some new apple trees we ordered through the mail. 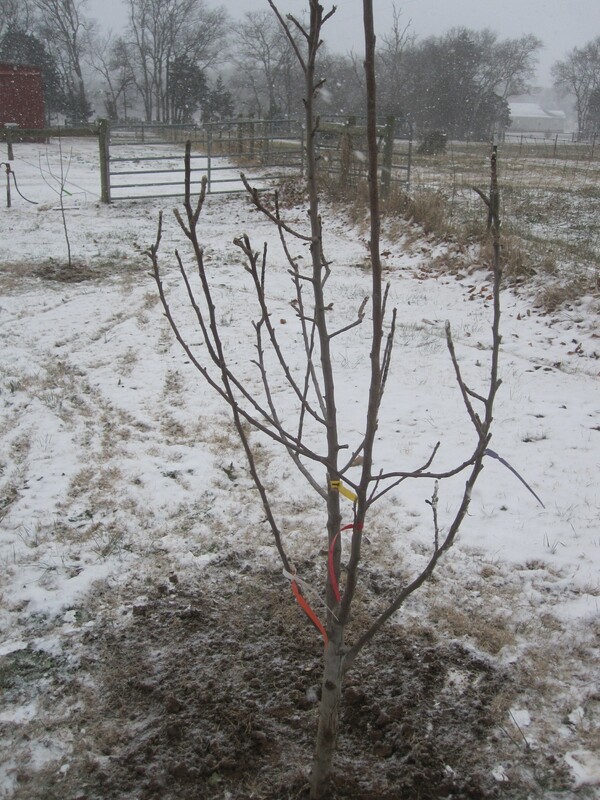 Planting conditions were a little chilly; but you need to get new apple trees in the ground pretty fast. We ordered these from Willis Orchard Company. We ordered 3 types of apple trees: Honeycrisp, Mcintosh, & a “3 in 1″ tree that has 3 varieties of apples on one tree! (Fuji, Early Red Summer & Granny Smith) They do this by grafting branches of different varieties to the trunk of a young seedling. Interesting Fact: You can’t just plant one apple tree. Most apple trees need a second apple tree of a different variety to pollinate it. Sidenote: 2 of the trees Willis Orchard Co sent me were the wrong type. (They sent Dorsett Golden, Anna Apple & Gordon Apple) I called and they were great. They told me to keep the wrong ones and they would gladly send us the correct ones. So we’ll end up with 5 apple trees with a total of 9 varieties of apples!